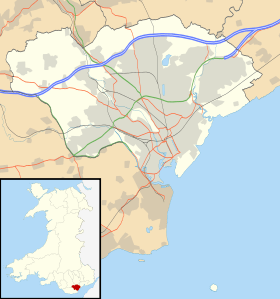 Cardiff Heliport (ICAO: EGFC) is a heliport located in Tremorfa, Cardiff, Wales, approximately 2 miles (3.22 km) from the city centre. The heliport is privately owned and operated by Cardiff City Heliport Ltd. The heliport cost £3.8 million to build and was the operating base for the South Wales Police helicopter. But the heliport can also handle considerable passenger traffic too, especially during major sporting events at the Millennium Stadium. It can handle over 180 movements in a single day with up to 40 aircraft parked at any one time. In 2016 the heliport has welcomed an additional helicopter from the Wales Air Ambulance fleet on a trial basis, operating specialist hospital transfers with state of the art in-flight incubators to transport babies.